ATMI specialist manufacturer of float and tilt level switches is an ISO 9001-2008 certified Company. Our quality organization is capable of taking all necessary steps required to satisfy our customers. ATMI specialist manufacturer of float and tilt level switches for liquids ans bulk solids is an ISO 9001-2008 certified Company. Our quality organization is capable of taking all necessary steps required to satisfy our customers and earn their trust. We achieve this by placing our customers at the heart of our company’s concerns. Our quality approach involves all aspects of our company, starting with the mastering of our activities to the efficiency of our processes. It requires significant human and financial resources, and it involves all staff members at all levels. 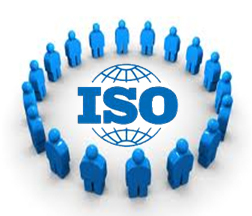 In fact, our quality management is a team project shared by all employees. ATMI products are designed, developed, and manufactured in our French factory with European components only. Our manufacturing is 100% made in France, unlike other manufacturers who have relocated their production in developing countries in order to decrease their production costs. However, by doing this, they compromise their products’ technical specifications and quality, and also the environment sustainability.